Tonto: Jenny Nipper in media room watching Herbert Marshall movies. Tarzan ask Jenny Nipper if she join Tonto and friends for Metropolitan. Tarzan: Tarzan try. Jenny Nipper tell Tarzan "no thanks" she busy putting in tags on all old blog entries, which means can now scroll down blog and find all our entries by clicking on label "Tonto and Friends." Tarzan think Jenny Nipper little bananas right now. Best leave alone. Tonto: Frankenstein on vacation in Boundary Waters with Bride. Friend of Tonto, Sloth from The Goonies sit in for Frankenstein. Tarzan: Tarzan surprised Tonto no go on vacation with Frankenstein. Tonto: Paddling canoe not vacation to Tonto. Too much like work. How come Tarzan not go? Tarzan: It not enough Tarzan raised by apes? Spend first 30 years of life in jungle? Tarzan like stay home with comfortable bed and no mosquitoes. Tarzan have enough mosquitoes in jungle. Tarzan hungry. Tarzan go kitchen before blogging. Tonto and friends want anything? Tarzan ( returning from kitchen): No Babyruth, but Tarzan find box of macaroons Jenny Nipper hide behind whole wheat crackers. Tarzan: Tarzan not as bored with Metropolitan as he expect. Tarzan think talky Whit Stillman movie more interesting than most other movie where nothing happens. Tonto: Tonto want to model self after Nick Smith from now on. Tonto go online and buy detachable collars already. Am looking for dinner jacket from A.T. Harris. Then Tonto will go find wedding receptions that people forgot to invite him to. Tarzan: Tarzan take issue with Nick Smith view of titled aristocracy as scum of the Earth. Nick Smith just jealous of Rick Von Slonaker's success with Serena Slocum and Cynthia. Besides, Tarzan is titled aristocracy. Tarzan Earl of Greystoke. Tonto: Whatever happened with that anyway? Tarzan: Being titled aristocrat not necessarily pay so good nowadays. Tarzan return to jungle, till blog gig come along. Like Mary Crawford say in Jane Austen's Mansfield Park, "a poor honorable is no catch." Tonto: Tarzan bring up interesting point. 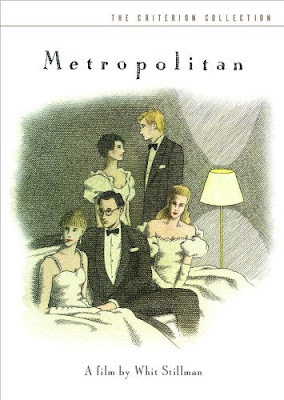 Is Metropolitan an adaptation of Mansfield Park? Stillman make many references to the book. Tarzan: Not exactly an adaptation. More like homage. Tonto: If it is adaptation then many characters are split into multiple parts. Fanny, for example is both quiet, upstanding Audrey Rouget and outsider, "radical" Tom Townsend. Tom's cluelessness to Serena's manipulative and shallow nature mirror Edward's blindness to same qualiites in Mary Crawford. Tarzan: And Tom is disinherited in much the same way that Edward looses living do to careless spending of older brother. I see many similarities, but no Henry Crawford. He maybe split between Nick Smith and Rick Von Slonaker? Tonto: That make no sense. Henry Crawford punches self out, then? Tarzan: Like Tarzan said. More like homage, than adaptation. Tonto: Tonto surprised Tarzan like such talky movie. Tarzan: Tarzan sit through any movie, no matter how talky if there promise girls take clothes off. Tarzan like strip poker scene. Tonto: "Playing strip poker with an exhibitionist somehow looses the challenge." Great line. Tonto know how Nick Smith feel. Tarzan live in loin cloth. Tarzan: So now Tarzan exhibitionist? At least Tarzan was raised to wear loin cloth. Tonto take every opportunity to be shirtless. Shirtless vacuuming. Shirtless deepfat frying. Tonto: Tonto learn to wear apron from now on. Tonto: Sloth bring up good point. How many people follow obscure 19th century socialist after watching movie. Tarzan: Tarzan google "Fourier." 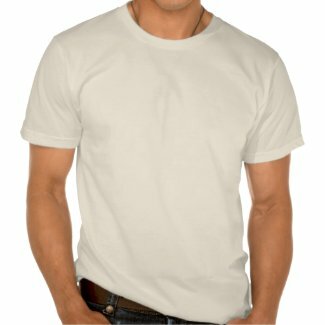 Put t-shirt on Zazzle say, "Good luck with your Fourierism." Tonto: Tonto not sure if that ironic or not. On one hand, Zazzle successful corporate model to skim money off everyday people's need to thwart copyright laws. On other hand, it open, free creative outlet that offer opportunity to earn small amount of money for clever idea. Have Tonto sold many shirts? Tarzan: Enough to buy loincloth with built in briefs. Tonto: Tonto and friends one hundred percent behind built-in briefs. Tonto approve of Zazzle. Sloth: Hey you guys!!!!!!! Sloth want say about movie. Movie gooood! Sloth love Metropolitan! Sloth want watch rest of Whit Stillman trilogy. Jenny the nipper: Hey Tonto. Where is everyone? I thought you guys were blogging Metroplotian? Tonto: Sloth and Tarzan run away when Tarzan want to watch commentary track. Jenny the Nipper: I know how you feel Tarzan. Try spending a week and half watching every Herbert Marshall movie you can find. I've never heard so many crickets chirping. 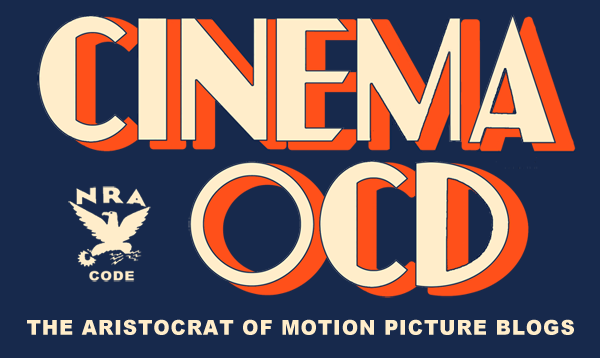 Tonto: How Herbert Marshall blogathon going? Jenny: Oh, it's great did you know he had a wooden leg?